Labyrinth + Monochrome is a black and white photographic installation that plunges the visitor into a flow of images specific to Daido Moriyama’s photographic practice. Born in Japan in 1938, Daido Moriyama is one of the world’s major contemporary photographers. A member of the post-World War Two Japanese avant-garde, he began his photographic career in the 1960s. The author of more than 150 books combining photographs, theoretical texts and diverse printing techniques, and the creator of installations and performance works, he has employed all the forms of the photographic medium and contributed to redefining street photography. The Labyrinth + Monochrome exhibition is a synthesis of this rich, dense and protean oeuvre. 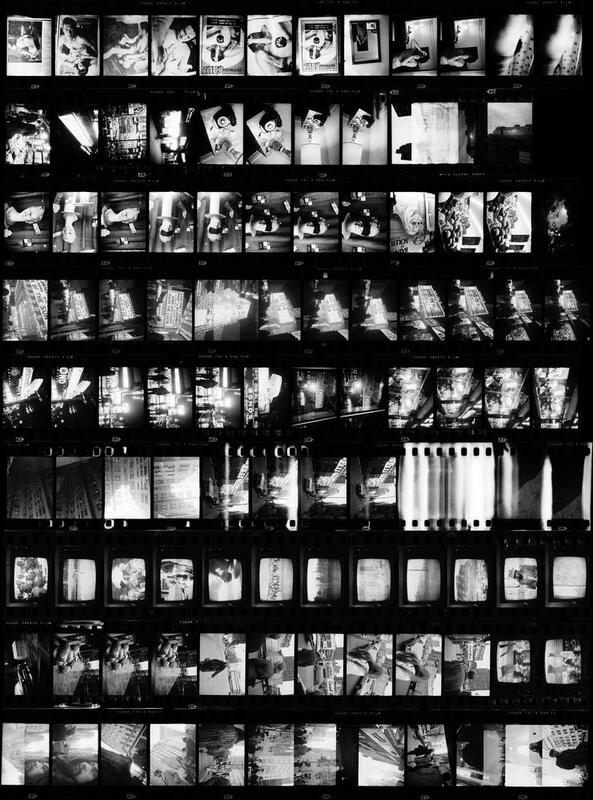 Monochrome takes us on a journey through Tokyo’s streets; Labyrinth remixes Moriyama’s photographs—he brings together thousands of images to recreate fake contact sheets, playing with places, years and subjects; Mesh forms a kinetic composition of images of fishnet tights from his famous How to Create a Beautiful Picture series. In it, Moriyama studies canons of beauty by fictitiously addressing Nicéphore Niépce, the inventor of photography. With Labyrinth + Monochrome, Daido Moriyama abolishes the notion of the unique image as masterpiece. His work, rather than a series of snapshots, is a flow of images generated by an attitude to the world. Installation conceived by Daido Moriyama and produced by Polka Galerie (Paris) and the Daido Moriyama Photo Foundation (Tokyo). Exhibition venue: Magasin Électrique, parc des Ateliers.